In our first YouTube video, Sydney PTE Academy's expert Michelle breaks down her experiences with teaching PTE Academic test. We have been teaching thousands and thousands of students for about 3 years now. We have a lot of experience in helping students to get the score that they desire. We have a lot of teachers here who really understand the PTE exam and exactly what you need to do in order to be able to get a decent score. In my personal experience from teaching the PTE exam, I have found that a lot of students don’t understand the Pte exam, they don’t understand the marking criteria and they don’t understand the best method to get their desired result in the shortest amount of time. For me it has been very rewarding to help a student who has been struggling for a long time to get their desired score. The reason we decided to start uploading videos to YouTube, is because there is a lot of misinformation about the PTE exam. There are resources out there about the PTE but a lot of the have information that is not quite correct or that is a little bit misleading for students who want to get a decent score in the Pte exam. So we have started to upload videos on YouTube so we can help students get a basic idea of how the Pte exam works. For other students who want to understand the Pte exam in detail we also have classes that are both online and in person in Sydney. You can click on the link for more information. If you are starting Pte from the very beginning, we would love to help you either through these online videos or you can come take classes with us. Best of luck for your Pte preparation. Sydney PTE Academy is specialized in PTE coaching and training. By working exclusively with the PTE Academic exam, we are able to deliver great service and quality. 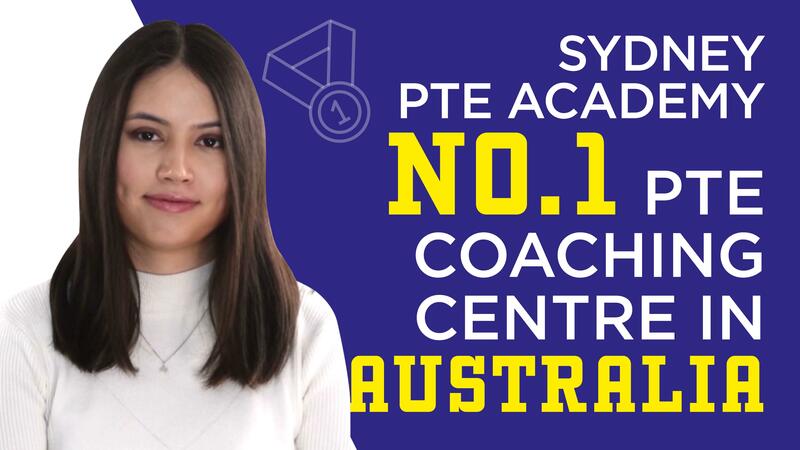 We are the NO.1 PTE coaching centre in Sydney, since we have 3000+ students who have achieved their desired PTE score. Why should you choose Sydney PTE Academy? 1. Our teachers are highly experienced in PTE coaching and provide tips and tricks to acing your PTE exam! 2. We provide flexible timetables to suit YOUR availability. 3. We are conveniently located in Sydney CBD, with the best resources and facilities to help you prepare! 4. Our online system allows you to instantly check your answers within a few seconds and provide feedback for effective preparation! 5. We provide an extensive online system with REAL exam questions updated every week and includes mock tests! We are providing a discount for student enrolling in July so begin your PTE preparation TODAY!